Singapore is a country that’s just half the size of Delhi but has double the number of tourists coming here compared to India! This Asian country is a wildly exciting place with people coming in from all over the world. You too can have a fun experience there without breaking your budget. 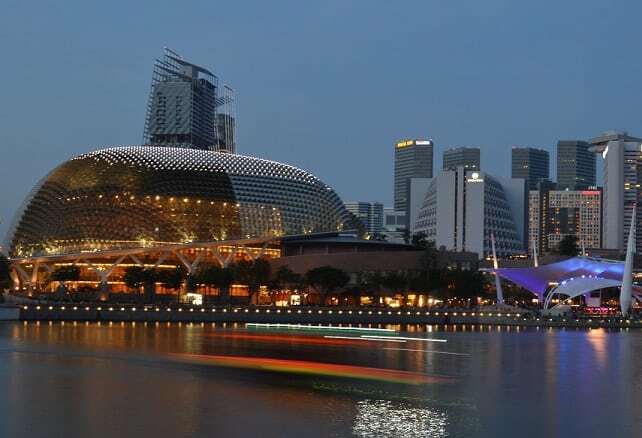 Here are 9 free things to do in Singapore that we have collated for you! 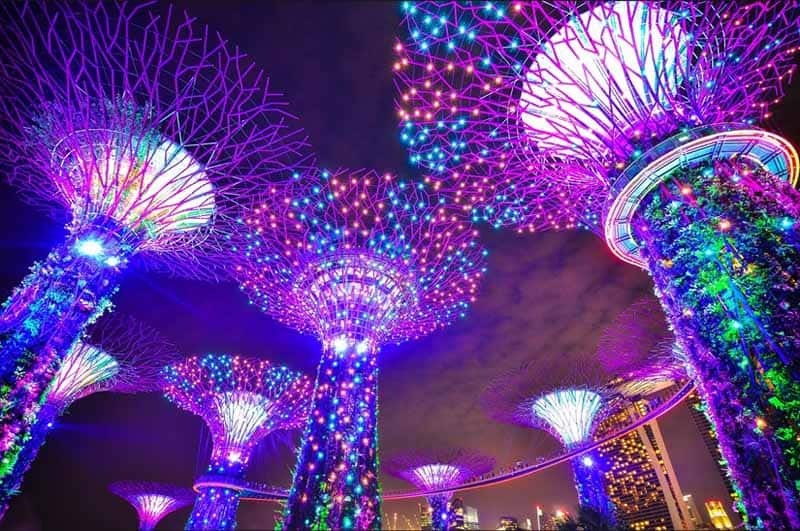 Gardens by The Bay is one of the finest tourist attractions of Singapore and the best part? Entry is completely free! This huge man-made park has lots of things to see and even has a free lights show. You can catch the Garden Rhapsody which is a lights show, every day between 7:45 to 8:45 in the late evening. 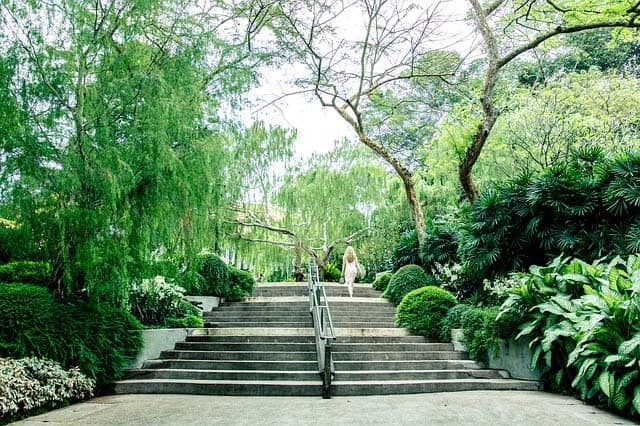 Singapore Botanical Gardens is a 156-year-old garden that is also a UNESCO World Heritage Site! In the mornings, this beautiful retreat is filled with joggers, pet owners, tai-chi practitioners and other people who have come to sit peacefully in nature’s lap. The park is open from morning 5 am to 12 pm in the night and entry is free for everyone. 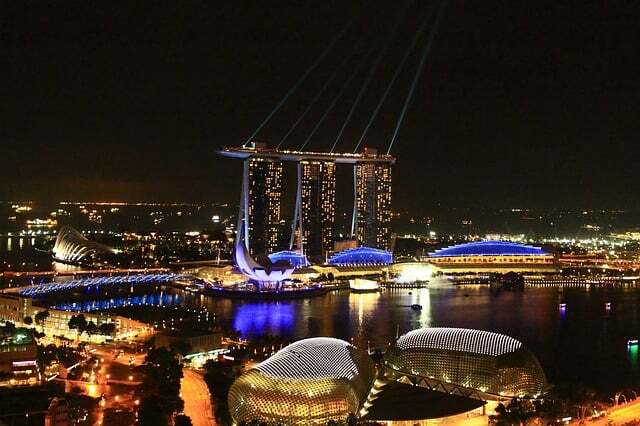 Usually, doing anything at the Singapore Marina Bay would lighten your wallet considerably. Entrance to Sky Park, taking a room there, or having food at the CE LA VI would wipe out your money pretty fast. However, you can enjoy this magnificent bay quite free of cost in other ways. Catch Asia’s largest breathtaking lights and water show every day at 20:00 and 21:00. There is an extra one at 23:00 on Fridays and Saturday. The Esplanade is a really unique piece of architecture in Singapore. It serves as the host for cultural events and grand musical performances. The Esplanade is built keeping in mind perfect acoustics for musical shows. The best part? There are plenty of free shows and performances that’ll let budget travellers enjoy the best in music and local culture at this splendid place! For more details on the shows, check out their official website. Movie Mob is a free way to catch a movie when in Singapore. 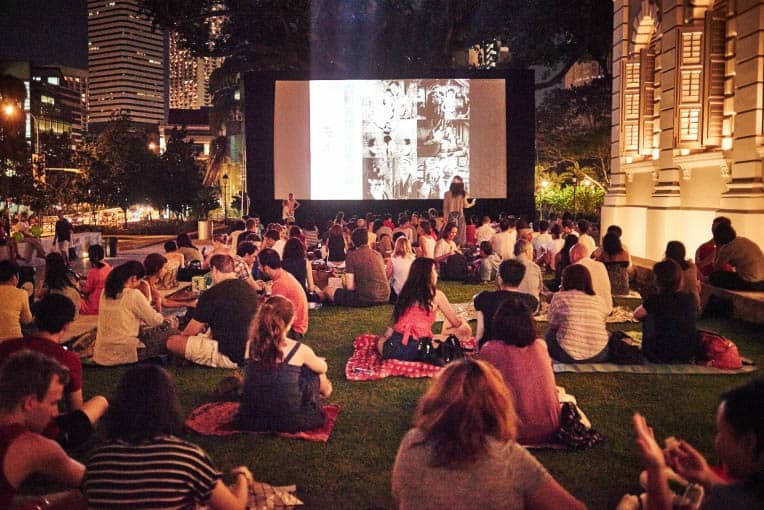 These open movie events are held at famous picnic spots and are very popular among the locals there. You can even vote in advance for the movie you’d like to watch. Follow Movie Mob’s Facebook page for updates. The Singapore Really Really Free Market is a group that believes in the give and take policy. 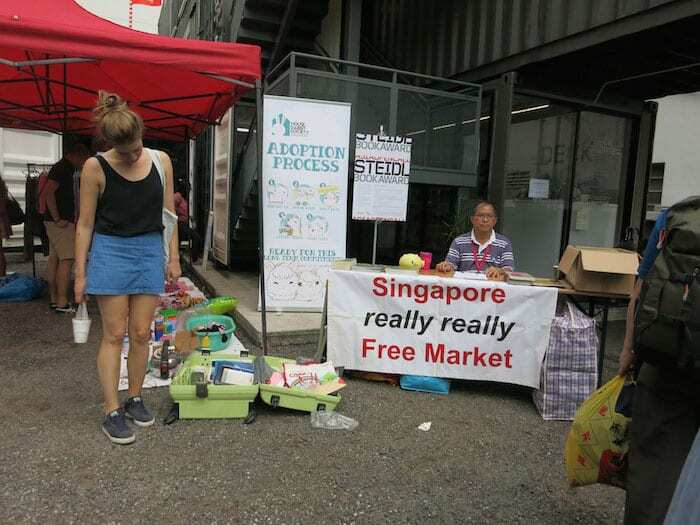 Free markets are organised at select locations across Singapore and you can set up your stall too. Browse the wares others are offering and pick up what you like for free! The only catch is that you too must have stuff too, to offer for free to others. You can check out the updates for the location and time of the free market on their Facebook page. The Southern Ridges is the perfect blend of fine art and natural scenery. At night, with strategically placed lights, The Southern Ridges get transformed into an ethereal beauty. This is the time when it’s an absolute delight to walk here. 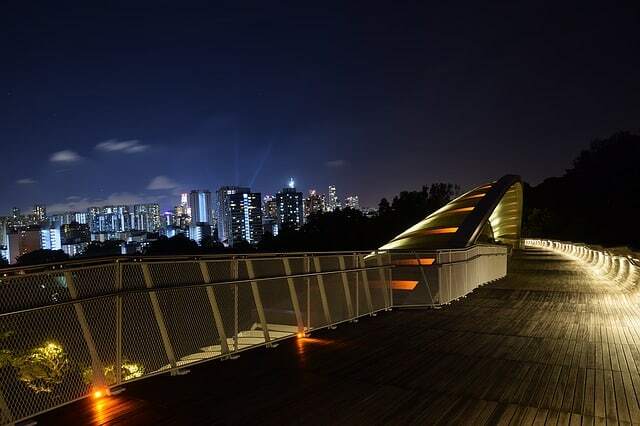 It extends up to 9kms and will take you through Mount Faber Park, Telok Blangah Hill Park, Kent Ridge Park and West Coast Park. Entry is free for all visitors! 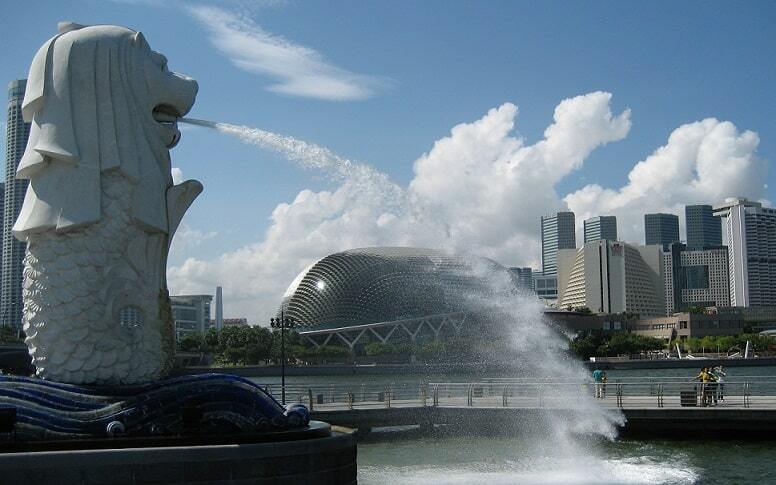 This iconic Merlion statue is probably the first thing that comes to people’s minds when they think of Singapore. Situated in Marina Bay, this gigantic statue of a half-mermaid and half-lion is completely free to see and click a photo with. Post it on your social media and see the likes rolling in! Extra credits if you can take creative photos with the statue so it looks like the water from the Merlion is pouring into your mouth. 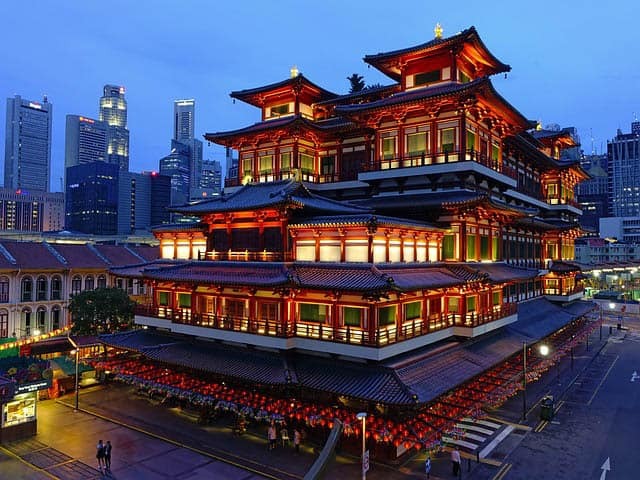 The Buddha Tooth Relic Temple is alleged to house a tooth of Siddhartha Gautama, the founder of Buddhism, at its top level. On the lower rungs of the temple, you will find monks chanting and meditating with a single-minded focus, oblivious to their surroundings. Guests from all parts of the world are welcomed and even a free vegetarian meal is provided keeping in line with Buddhist customs. Know any other free attractions in Singapore? Feel free to comment below!